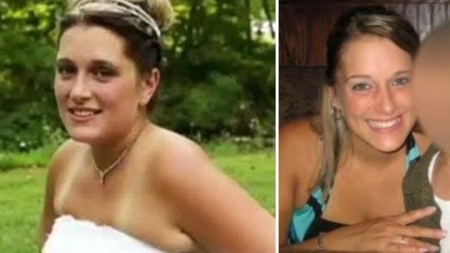 Jessica Padgett, the 33-year-old mother of three who had been missing since Friday in Northampton County, has been found dead and her stepfather has been charged with her murder. 53-year-old Gregory Graf admitted this morning that he shot Padgett and disposed of her body. On Friday, Padgett left her job at the Duck Duck Goose day care center around lunch time to run some errands including going to her stepfather's house to use the fax machine. She never returned to work. Her white Subaru was found in the parking lot of a Dollar General later that day with the keys and her cell phone inside. Family and friends have been searching for days for Jessica, handing out flyers and putting together search crews. Police are still working on a motive, but it appears to have involved a sexual assault. Investigators are still developing that aspect. Padgett was found buried beneath a shed on her parent's property with a gun shot to the back of her head. New Jersey state police announced this afternoon that the third child shot in last week's murder-suicide in Tabernacle, NJ has succumbed to his injuries. 11-year-old Alexander Harriman died this afternoon at Cooper University Hospital. Last Thursday at around 9:15 a.m., 44-year-old Jeaninne LePage used a pillow as a silencer and shot her three children before turning the gun on herself. 8-year-old Nadia Harriman and 14-year-old Nicholas Harriman were pronounced dead at the scene. LePage died at Cooper on Sunday. They were all found in the same upstairs bedroom in their home on Holly Park Drive. Police in Newark, Delaware, have arrested a purse snatcher who attempted to steal a 78-year-old woman's purse and dragged her 30 feet in the process. It happened at 11 a.m. Wednesday in the area of East Main Street and Tyre Avenue. The elderly woman was walking into a doctor's office when a woman approached her from behind and grabbed her purse. The victim was knocked to the ground and dragged up the street with the purse still around her shoulder. A witness yelled at the suspect who let go of the purse and ran. The witness ran after the suspect and was able to flag down an officer. Nasha L. Brooks, is now facing charges of Attempted Robbery 1st Degree, Crime Against a Person 62 Years or Older, Assault 2nd Degree, Injury to a Person Over 62 Years of Age, Offensive Touching and Criminal Mischief. Snow showers continuing and tapering off before midnight, temperatures in the mid 30's this evening in Center City.